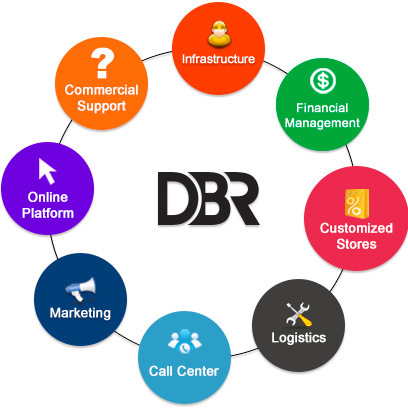 DBR is a full service company that develops all the services for an Online Store trough a partnership model for e-commerce in the segment Fashion-Apparel. Our solutions enable the success of your fashion brand in the e-commerce segment, which is one of the fastest growing businesses in the country. The experience in distant fashion selling, allowed DBR to structure a process that ensures efficiency, speed and quality in all stages of e-commerce. Storage and distribution are carried out in partnership with the parent company Loghaus which has 40,000 square meters of built area with space to store 110,000 SKUs, an installed capacity to serve over 200,000 orders per month through its 1,200 employees. 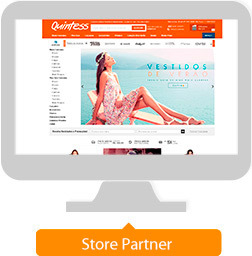 Through the ECOS system (e-commerce system), the Partner has a wide possibility of managing its online store. This tool, developed by DBR´s own team of IT experts, has several monitoring reports that enable quick and effective decision taking. Every Gadget Everywhere / m-commerce .